Some recording media memory capacity is used as a management area, so the actual usable capacity will always be slightly less than the displayed capacity. The battery life figures shown here were determined using an Olympus test method. Actual battery life figures will vary greatly according to the battery used and usage conditions (Changing the playback speed or using the Noise Cancel function may affect the battery life). Actually available recording times may be shorter than the figures shown here when making short recordings repeatedly (Equipment displays of available/elapsed recording times should be considered guideline values). 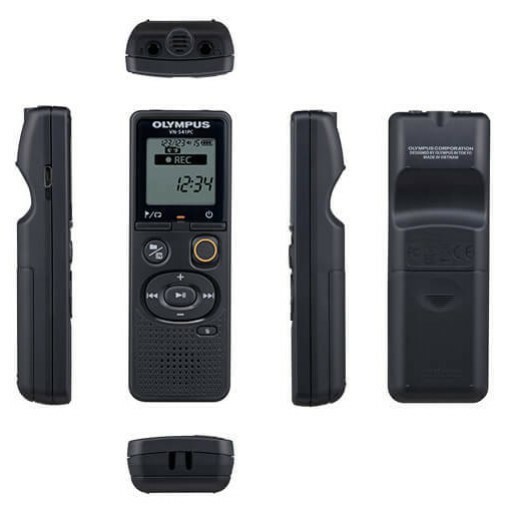 Note that voice recorder specifications and appearance are subject to change without prior notice for performance improvements or other upgrading.